The Agent Network Accelerator (ANA) is a four-year research project implemented in eleven focus countries, managed and conducted by MicroSave and the Helix Institute of Digital Finance. It is the largest research initiative in the world on mobile money agent networks, designed to determine their success and scale. Indonesia is among the eleven African and Asian countries participating in this research project, selected for its contribution to the development of digital financial services globally. The second wave of the ANA survey in Indonesia builds on the findings of the qualitative assessments of Indonesian agent networks completed in 2014. 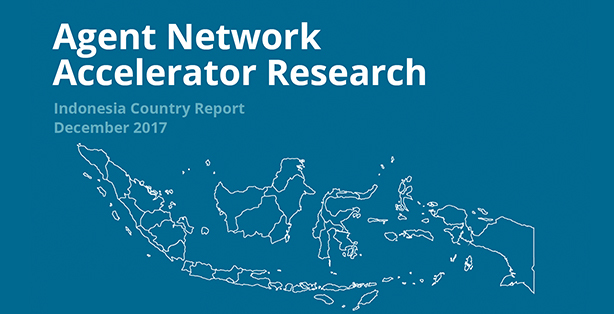 The survey is based on a sample of 1300 DFS agent interviews that were conducted across 15 provinces in Indonesia during the months of July-September, 2017. The survey is designed to provide valuable insights on the digital financial services sector in Indonesia and provides recommendations for developing sustainable agent networks in the country. This report highlights the key findings of the research.